Interconnections between families and community, subsistence from the sea and land, and honor for historical roots is embedded deep in Brinnon's rocky yet rich soil. O'Wota "Kate" Brinnon, wife of Ewell Brinnon for whom the community is named, was of royal blood. Mrs. Brinnon was the sister of Chief Chetzamoka, daughter to Lach-ka-him and Qua-tum-a-low, leaders of the S'Klallam nation. O'wota Brinnon was dedicated to nature and raised two children from the community. She and her husband helped the community settle differences and provided land for early Brinnon enterprises. Before the arrival of Russian, English, Spanish, and American explorers in search of fur, 10,000 Native people thrived in the Hood Canal region. They lived in wooden houses along the shorelines, and penetrated the forests only to hunt or for spiritual quests. The moderate climate and blend of forest, rivers and shoreline produced sufficient salmon and other fish, shellfish, berries, roots, seals, birds, and sea and forest game to support numerous thriving communities. Individual groups were differentiated by language and by kinship ties. Wealth and rank were earned through strength, courage, and generosity. Though the communities occasionally engaged in skirmishes, and the Makah (related to the Nootka and Quileute) tended to remain separate due to the geographical isolation, interaction and intermarriage based on status did occur. When Indians were assigned to tribes in 1855, nations were labeled as Makah, Hoh, Jamestown S'Klallam, Suquamish, Port Gamble S'Kallam, Quileute, Quinault, Squaxin, Skokomish, and Elwha Klallam. Until banned by government agents in the late 1800's, potlatches or trading feasts celebrated rites of passage: a boy or girl earning a spiritual name, or selection of a new chief. Thousands of guests often attended, arriving on foot or more often by canoe. In order to maintain wealth and status, wealthy families were obligated by their deep spiritual beliefs to distribute their wealth among the poor. The original people of the Hood Canal area are considered among the most culturally sophisticated in America, and a wealth of art, featuring geometric and animal forms, as well as rich combinations of wood, shell, bone and fur, exists in museums and private collections throughout the world. In the Brinnon area, from October's first frost to February's first hint of sun, temperatures drop and may bring ice, snow, and sleet, and often torrential rains. The native people lived from the food gathered in summer, and wove baskets, mats, and clothing, carved huge canoes, and created masks for ceremonies, colored yellow from Oregon grape roots, red from hemlock bark, and black or grey from mud. The most important product of the forests was wood, used to make houses, clothing, fishhooks, and spiritually-based art. According to original homesteader Ray Lindeke, Pulali Point, which commands a full view of the waterways and mountains, was one location for ceremonies to send off the dead. Bodies were often placed in canoes with gifts to accompany the spirit onward, then set into the trees. Later, due to plunder of the sacred places by early settlers and the huge numbers of death from disease introduced by early traders and settlers, the Indians adopted the European custom of burying their deceased. Regional nations used the spit in front of the current unincorporated village of Brinnon, and the coves at Pleasant Harbor and Jackson Cove for summer camps, salmon and shellfish harvest, huckleberry gathering, and the annual dog-salmon run. Several local place names reflect the original Indian languages. These include the Anglicized Quilcene, Duckabush, Dosewallips, Hamma Hamma, Lilliwaup, and Pulali. The first settler known to log the Brinnon area was Tom Pierce (1859), and most early non-native settlers were associated with the logging industry. Other economic pursuits included grocery ferries for the isolated inhabitants prior to construction of connecting roads, mining, hunting, fur trading, farming, and fishing. As with the original inhabitants, most early settlers found it easy to subsist with the abundance of the land and sea, though several murders and suicides mark the isolated early days of white settlers. The area attracted hardy souls drawn by the natural beauty of the mountain range meeting the broad expanse of Hood Canal and its various rivers and bays. Best Places Northwest calls the current citizens of the Olympic Peninsula "laid back…a hearty lot of artists and mill workers, loggers and entrepreneurs," who live here for "tradition's sake, for the space, and for the opportunities." Just as the forest initially provided a seemingly endless supply of lumber, so the Hood Canal shorelines and rivers appeared a commercial resource that would never run dry. Fish hatcheries were attempted in the Brinnon area as early as 1910, and research into oyster as well as salmon production was conducted at Whitney Point at the turn of the century. Early settlers, male and female alike, enjoyed outings into the hills, mountains, and waters of Hood Canal to explore, climb, picnic, hunt, fish, horseback ride, prospect, or just adventure. As early as the turn of the century, campers from other areas of the State were attracted to the startling descent from mountain peak to water's edge. Most camped in tents, but some built small shelters or cabins and spent the entire summer. Just as the native people before them, families from Seattle, Tacoma, and elsewhere set up summer camps in the coves and harbors. Other early families homesteaded and sought ways to survive year-round. Often women and children stayed the summer, then returned to the urban areas for schools and comforts, and the men visited on weekends. During the early part of the 1900s, trips to the "great outdoors" were so popular, including among the rich and famous, that it wasn't long before early Brinnon entrepreneurs came up with the idea of what would now be called a Bed and Breakfast. In an era prior to television and even electricity, the region provided its own entertainment: boating, swimming, shellfish harvest, horseback and hayrides, hiking, photography, and fishing. In the evenings, by candle or lantern light, families and guests created theatrical productions, played charades, or danced. The Olympic Inn, Mr. & Mrs. Henry A. Kyer, Brinnon, Wash. The only large tract originally used as a camp that remains undivided today is Camp Parsons, the third oldest Boy Scout Camp in the United States. 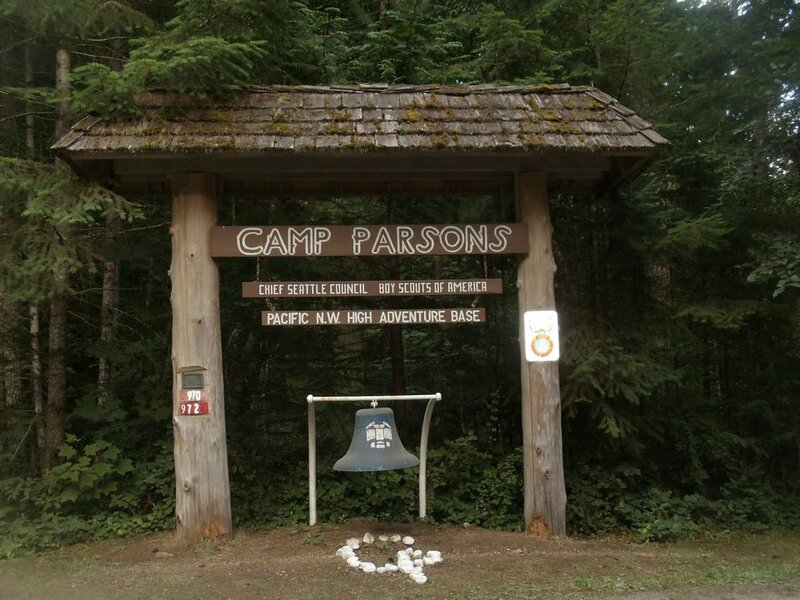 Although the area earlier served as a logging and work camp, as well as summer camp spot, Camp Parsons officially opened as a Boy Scout Camp on July 7, 1919, and is recalled fondly by civic leaders throughout the country. Originally 280 acres, occupying most of Jackson Cove, the Camp has subsequently been gifted and has purchased an additional 240 wilderness acres that covers most of Pulali Point. This additional wilderness part of Camp Parsons, occupying most of Pulali Point, provides the only wildlife corridor in the Brinnon area to link the Olympic National Park to Hood Canal. This section of the Camp is used for wildlife education by the Scouts. Though campers now arrive mostly by car, early Scouts traveled to Camp Parsons on boats, including the historic Virginia V. Now the waterways are subject to testing of the Trident Nuclear Submarines and other military testing and training. The United States Navy holds absolute right-of-way over the waterways, and signals with large flashing lights when the area is closed to motorized recreational boaters. After World War II, the shorelines and forests of Hood Canal became haven to veterans and their families who sought a simple lifestyle, as well as to individuals blacklisted for joining unions who could no longer find jobs in the urban areas. The population briefly surged, and more than a hundred communes thrived along the beaches of Hood Canal. Through fishing, gardening, hunting, shellfish harvest, seasonal work in logging, firefighting, or brush-picking, Brinnon maintained its "rugged individualist" reputation. As before, members of the community looked to each other for companionship rather than expect support from outside agencies. 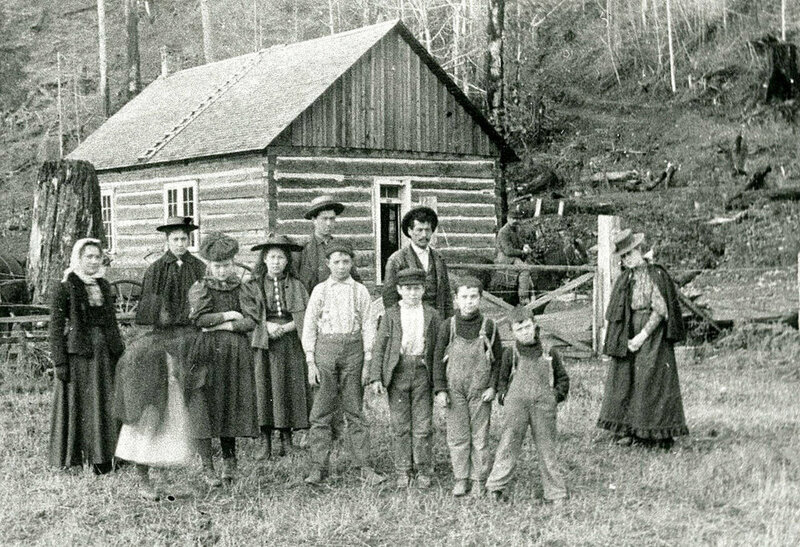 Others continued the tradition of making Brinnon their summer retreat, with wives and children retreating to the wilderness when school was out, and husbands driving up for weekends. Many present-day Brinnon area residents are descendants of original settlers, and several have Indian blood. Entrepreneurial activities remain common, while the Internet increasingly allows some to commute via cyberspace and to sell services or products worldwide. Brinnon is working to get the entire area accessible. Some still log or work in the shellfish industry, or work in the service or tourist industry, while others commute to work in Shelton, Olympia, Sequim, Port Angeles, Port Townsend, Hadlock, Bremerton, Shelton, Seattle, out of state, or overseas. One third of Brinnon residents are of retirement age, while others retired early from military careers, investment proceeds, or as the result of injuries. Until recently, acreage and taxes were relatively inexpensive; half the permits issued in 2000 were for mobile homes. Those who yearn for shopping malls or symphony travel to Silverdale, Seattle, or Port Townsend, which features year-round musical and theatrical events and several fine restaurants. More? See the history section of the Brinnon sub area plan.